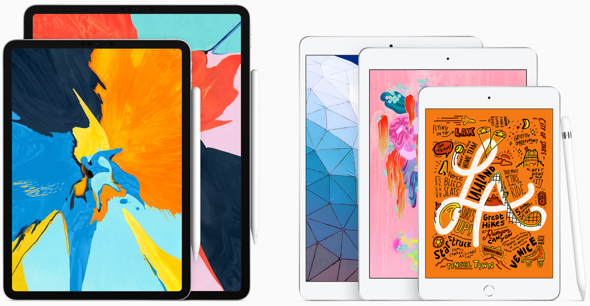 “Hot on the heels of Apple’s 2019 iPad Air and Mini announcements, a Geekbench ranking has appeared for one of the tablets — though it’s uncertain which,” Roger Fingas reports for AppleInsider. MacDailyNews Take: While these new iPad are very respectible performers, who’s stingier with RAM than Apple? Nobody. I take one iPad mini, to go, please. With the old pencil support, not me. Damn shame. Apple has got sell all those old unsold pencil1s somehow. Somehow I don’t think this will do it for them. To use Pencil 2 would require a chasis redesign and a charging system and magnets. That adds cost. This is a good way to bring a higher performing iPad to people at a very reasonable price. still a waste of precious natural resources.